Before you even ask the question, the answer is 'yes', Trina Braxton is the sister of R&B star Toni Braxton! 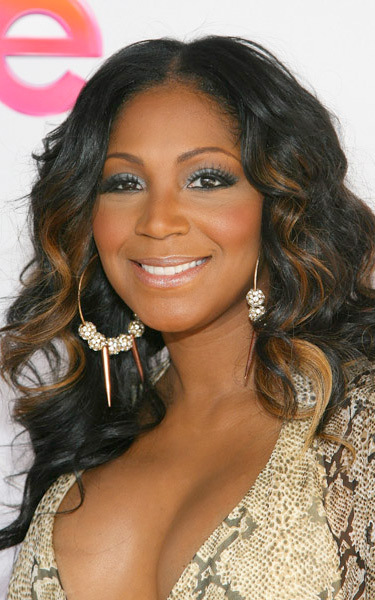 One of 5 Braxton sisters, Toni, Traci, Towanda, Trina & Tamar, the 5 sisters actually formed a band - The Braxtons, back in 1989 but it was Toni that became the star with smash hits like He Wasn't Man Enough & Un-break My Heart. Trina is hoping to emulate her sister's success with her new dance smash Party Or Go Home. This track ticks all the boxes sounding like a cross between Ke$ha & Kelly Rowland it's sure to do well - we love it..!